Specializing in bespoke kitchen and bath design, we are a full-service interior architecture and design firm. Our services include space planning, custom cabinetry layout and design, selection of appliances and finishes, furniture and accessories, fine art installations and color palette consultation. VOTED BEST OF HOUZZ 2014, 2015! Kristi Shaffer, Principal Designer, has had a lifelong passion for details. A daughter of an accomplished woodworker, she grew up captivated by wood grain and trips to the hardware store. Several years later, Kristi found herself in a large, empty Cape Cod that would become her first design project. Fueled by her success in transforming the home, a passion for design and an eye for detail led her to formally study Interior Design before launching KMS Kitchen + Home. As a Professional Member of the NKBA and ASID, Kristi consistently maintains continued education and received her Kitchen and Bath Designer certification in 2009. Kristi is known for timeless interiors with a modern simplicity. Her designs expertly balance scale, color, and texture, intelligently pairing luxury design elements with thoughtful consideration to the practicalities of daily life. Kristi lives in Mill Valley, California, with her husband and two children. 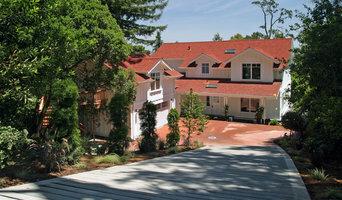 Gregory Dedona founded his architectural practice in Mill Valley, CA in 1989 after receiving his California licensure. For over 25 years Greg has been serving local residents and project developers primarily in Marin County, as well as in the greater San Francisco Bay Area, Lake Tahoe, and Los Angeles. Greg's commitment to quality design and high level of thorough service has earned him a loyal client base and a reputation for ability and integrity. Throughout the years he has built a team of experienced professionals including civil and geotechnical engineers, land surveyors, and building contractors. Greg is a graduate of U.C. Berkeley, School of Environmental Design - B.A. in Architecture. His design philosophy is rooted in a contextual approach to each project site by shaping the client's program needs and fitting the design solution to the surroundings. He is not characterized by any one style, being adaptable to stylistic genres of traditional eras or modern contemporary influences. His abilities range beyond design, incorporating problem solving, management, and leadership skills into every project. Greg is committed to implementing Sustainable Design and Green Building practices in all his work. Greg served for over 12 years on the Tam Design Review Board, a planning review body appointed by the Board of Supervisors for the unincorporated Mill Valley areas of Marin County, and was Chair for nearly half his term. He is active volunteering in his community as a scout leader, and as a youth sports coach with his son and daughter. Gregory Dedona offers a wide range of architectural design and consultation services. Whether your needs are for full service project design and documentation from concept to completed construction, or simple construction feasibility consultation, Greg can provide all levels of service to suit your needs. As a Marin based Architecture firm we have worked throughout California to create unique and thoughtful designs. We also offer the option of creating a Design + Build solution through FORM Design + Build, our sister company. We have earned a hard won record of success in the design of single-family custom homes, entry-level home developments, and custom home communities in diverse environments ranging from the Bay Area, Santa Barbara, and Sacramento region to Baja California and the Turks and Caicos. We aim to be clear and direct in our communication with clients, who tell us one of the things they appreciate most is the interaction they have with our design team and the knowledge which is encompassed by each member of our team. All concerned, clients & designers alike, are full partners in the creative process. We use every means we can at every step of the design process to help clients “see” how an idea will play out if actually built. For instance, we use three-dimensional computer renderings as early as the Schematic Design phase. Just as important, our clients speak highly of our ability to come up with designs that are aesthetically pleasing, invariably innovative, and consistently budget conscious. Finally, we are committed to the notion that the present and most certainly the future require no less than sustainable building practices and the use of Green materials whenever they make good design, economic and environmental sense. We work hard to be informed about all of the latest sustainable technologies and Green practices so that they may be incorporated seamlessly into all of our projects. Although we have a range of built designs, those shown here tend towards a contemporary interpretation of traditional design. Our firm has done numerous projects including many small remodels that draw on local traditions including classic Californian Bungalow design as well as Craftsman and Prairie style houses. Although we try not to simply emulate styles, we strive to be true to the traditional tenets of these styles to avoid the appearance of merely copying. We have chosen a select few projects for the site but we would be happy to forward additional information and photographs of other projects to those interested in a more traditional design appearance. Our residential projects range from one-bedroom urban lofts to multi-million dollar properties. We are a full-service interior design firm and manage new construction, remodels and home decorating. We are dedicated to the creation of artistic, unique environments that highlight and enhance our clients personal aesthetic and style. It is a priority to incorporate environmentally sustainable options for long-term health and well being. Whether we are helping families to expand or to downsize, or a business person to reflect her travels, we draw on world-wide resources to offer full design, renovation and furnishing services. At Tower Design we understand how environments impact all aspects of personal success and well being so we effort toward designing efficient, well designed spaces that are highly functional yet comfortable. Our clients say that we have substantially improved their personal communication, happiness and uplifted the spirit of their homes. We like to incorporate art into the overall design. Our work has received numerous awards and has been published in Interior Design Magazine, Elle Décor, California Design, Travel & Leisure, Print, The Los Angeles Times, San Francisco Chronicle, Architectural Record, 805 Living and Ventana Magazine.